SHUCK IT! - SHUCK IT! Those who have ever attempted to shuck an oyster will know that this is no effortless undertaking – so it may come as a surprise to learn that two of Brisbane’s most passionate fishmongers are capable of shucking 100 dozen oysters in a mere hour. 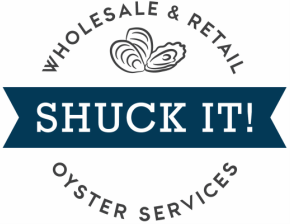 Bringing together their unwavering enthusiasm, knowledge, experience and infamously dry wit, friends-turned-business-partners Johnny Diacopanagiotis and Gene Kelly form the local duo behind mobile oyster supplier Shuck It! Purveying the freshest and most appetising oysters available, harvested from local coastal destinations, Shuck It! allows customers to watch their luscious delicacies shucked on site – and to chat to the friendly seafaring sellers about their succulent fare. You can choose to enjoy your freshly shucked oysters chilled or grilled, savouring the natural flavours of the ocean – or, indulge your tastebuds with a Kilpatrick-style or mornay-swathed mollusc. Having owned and managed popular eatery George’s Seafood in West End for 20 years, before deciding to sell in October 2013, Johnny sought a new way to reconnect with the community and foster his love of seafood once again. Shucking oysters together one day, Johnny and Gene developed the idea that would enable the pair to share their love of locally-sourced, quality seafood with the people of Brisbane in various locations – and portable business Shuck It! began to take shape.